Twenty-five years ago, Thomas Kempner SM ’75 co-founded a hedge fund with $6 million of assets under management. Today, the fund is 2000 times larger and has $14 billion of assets under management. Ironically, Kempner did not major in economics. In fact, he took only one economics course while at Yale. Instead, Mr. Kempner majored in computer science. The problem-solving skills, persistence, and teamwork he learned while studying computer science have helped him get where he is today. In a time before the personal computer and the internet, Yale’s computer science department was on the frontier of knowledge. By the end of his freshman year, Mr. Kempner had decided that he wanted to major in computer science. After graduation, Kempner worked for a year in a bank overseas before going to Harvard Business School. He then got a job at Goldman Sachs as a bond trader. 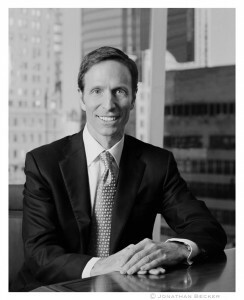 After working at two more small firms, Kempner saw an opportunity to get into the hedge fund business in 1983. That year he cofounded Davidson Kempner and started with five employees. Today, Davidson Kempner has 120 employees. “If I had to do it all again, I would still major in computer science,” Mr. Kempner explains. “Yale is not a trade school. You take courses to improve your mind’s ability to do things.” The skills that computer science courses teach are also valuable in the business world. According to Kempner, “People who are science majors have a different way of thinking.” As an undergraduate, Kempner spent a summer at Yale writing an operating system with other computer scientists. This taught him skills in teamwork since each person wrote a different part of the software, and all the parts had to work together in the final product. Computer science also requires problem-solving skills and disciplined, focused thought. “Computers are dumb,” jokes Mr. Kempner. “You can’t tell them you know what I meant.” This forces computer scientists to think in contingencies and develop problem identification, problem solving, writing, and communication skills.